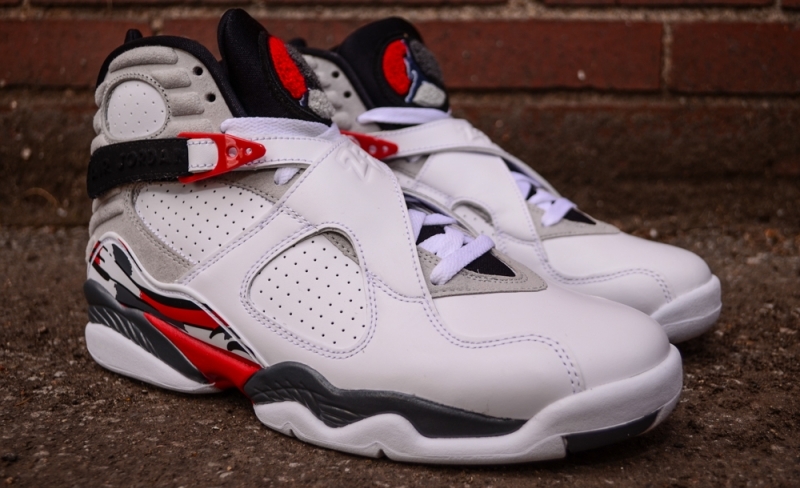 This classic Air Jordan 8 color way received a re retro in 2013 and is inspired by everyone's favorite rabbit, Bugs Bunny. The sneaker features a primarily White upper with a trim of Grey around the tongue and ankle. Red accents can be seen on the tongue, side panel, and strap holders as well as Hyper Blue on the fuzzy Jordan tongue logo.